KANSAS CITY, Mo. (AP) — Federal prosecutors say in court filings that the U.S. Coast Guard found probable cause that the captain of a tourist boat that sank in Missouri, killing 17 people, committed misconduct, negligence or was inattentive to his duties. 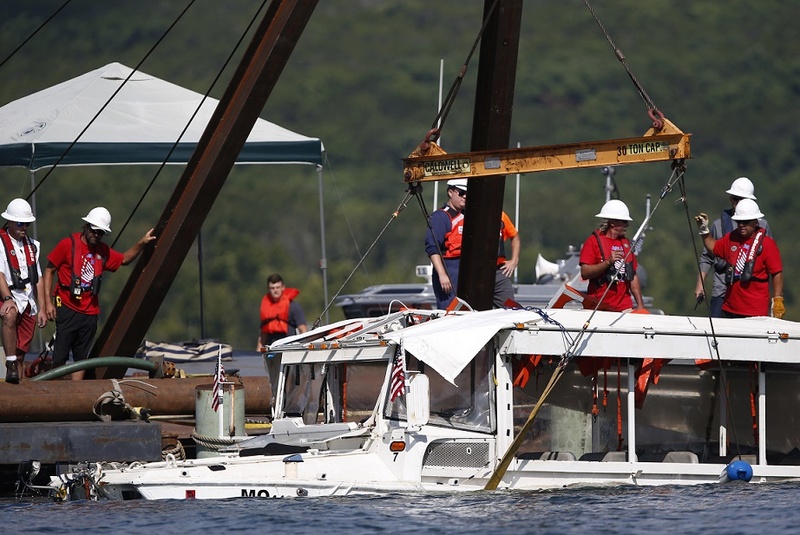 The U.S. attorney’s office also said in motions filed Wednesday that the captain of a second duck boat that made it safely to shore when a storm came up on Table Rock Lake near Branson July 19 acted in a “grossly negligent manner” that day. The filing doesn’t elaborate on the allegations.